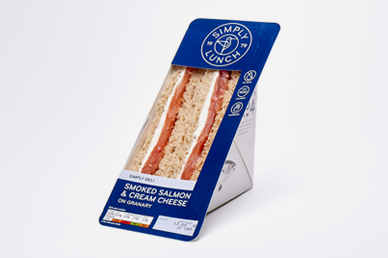 Simply Lunch is a leading pre packed sandwich supplier and for 40 years we have taken great pride in helping our customers grow their businesses. Over the years we have become a well-respected pre packed sandwich supplier through our passion in creating tasty food products and building long term, valued partnerships with our customers. Whether you are looking for our affordable everyday range or our indulgent signature selection we will be able to fulfil your every Food to Go need. We also offer delicious, pre packed hot and cold wraps, paninis, baguettes, salads, snack bowls and fruit.